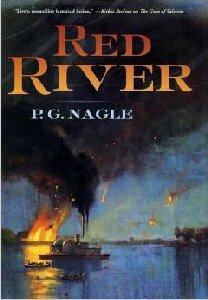 Stories with fictional characters and events in a historical setting. Includes Amish, Westerns, Cold War, Historical, Ancient History, Roman, Greek, etc. Also includes virtual history and alternative history. Nick saved the world years ago in an event humans know as the Great Chicago Fire of 1871. Unfortunately, another “opportunity” has come his way. This is a fascinating setting: Chicago in the 1920s, the height of prohibition with bootleggers and gangsters warring for turf, and very few electronic devices. [SPOILERS] Nick even humorously ponders about how great it would be if there were such things as portable devices to contact people from their automobile, among other things. [END SPOILERS] The two gangs and name dropping of some real gangsters gave readers something to connect with in such a foreign world. 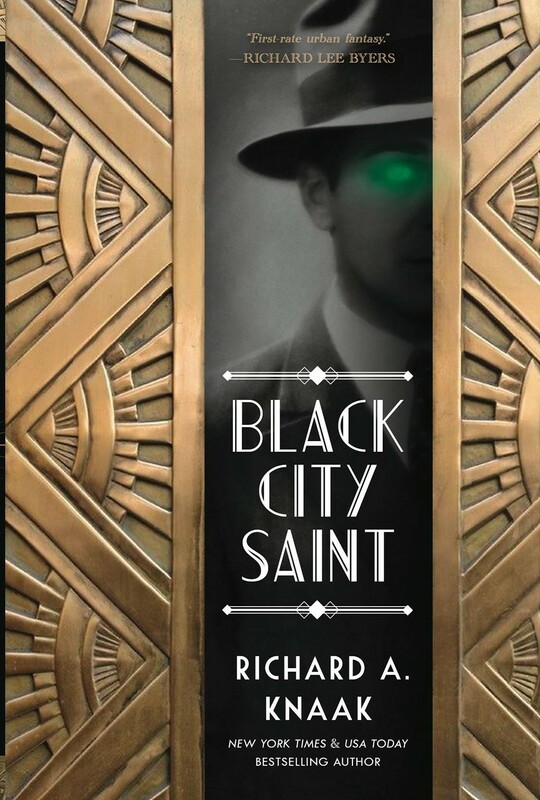 A detective noir set in this world isn’t so much of a stretch, but adding in magic, fantasy creatures and more makes this very different from most books. But not all. Fans of the Dresden Files by Butcher wont be able to miss the obvious parallels. [SPOILERS] An out of time detective that only solves fantasy problems, with fantastical, and not always trustworthy sidekicks, tied to a ruling council from another, hidden world, tries to stop the big bad from using their magic to destroy a Chicago. [END SPOILERS] As a fan of Dresden, more is usually better. But Knaak’s Nick isn’t the same as Butcher’s Dresden, though for one very big reason: the addition of Christian characters into the mythology. I was introduced to Knaak in my adolescence via his contributions to the Dragonlance saga. Legend of Huma is a favorite all these years later. One thing a Christian who loves fantasy has to do is to distinguish between fantasy “gods” and the real “God.” I dislike (very much) when an author takes real Christian characters and changes them and their theology/ the theology they represent to fit the fantasy of their world. This was a real concern for me when [SPOILERS] Nick turns out to be Saint George (who fought the dragon), who believes in the real God, but also fights to keep the realms of humans and faeries separate. Faeries aren’t allowed to enter churches, holy water and blessed items hurt them, Saint Michael/ Michael the Arch Angel shows up possibly, and so on also conflate the issue. While I’m not usually a fan of this, Knaak did a good job walking a line here of being respectful to the characters while integrating them into the mythology. Nick Medea, for instance, is grounded even by his name – he is named after the real place of St. Georgius’ death, Nicomedia. [END SPOILERS] But the main issue for me still exists: the Christian characters have been merged with fantasy characters and included and treated like mythology. As a Christian, and acknowledging that the battle between St. George and the Dragon is very likely legendary, I prefer that Christianity not be included as just another source for mythology, because to me it isn’t. 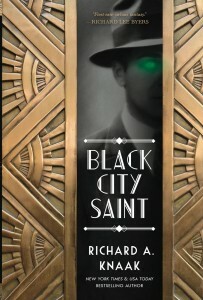 This is a fast paced, fun fantasy noir that fans of both genres will enjoy. Can a Sheriff and Pinkerton agent work together to catch an elusive murder and work out their feeling for each other. 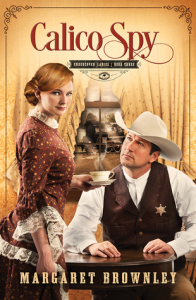 Katie Madison, a Pinkerton operative, is sent undercover as a waitress to Calico Kansas. Her new assignment is to investigate the murder of two Harvey House restaurant waitresses . Branch Whitman as the town’s sheriff is mad at the fact that a Pinkerton is sent to solve the case. He is stunned at the fact that the beautiful waitress that frequents his thought is the Pinkerton operative sent to help. 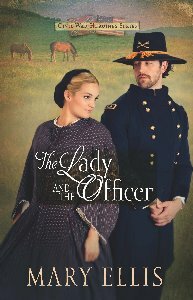 When a secret from the past threatens to tear away what the sheriff holds dear he must decide to trust Katie or risk losing it all. As they face challenges together they can feel the growing attraction between them and don’t seem to know what to do about it. Will they be able to work together and catch the elusive murderer and figure out their feelings for each other? 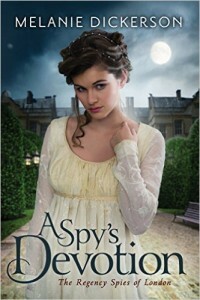 The Calico Spy is the third book in the Undercover Ladies series. I really enjoyed this book. Once I started it I had a hard time putting it down. I loved the vivid description that brought the story to life. The descriptions of the waitress protocol had me cringing and feeling sorry for Katie while laughing during the funny parts. It had me guessing what was going to happen throughout the whole book. The characters and their antics were very refreshing. 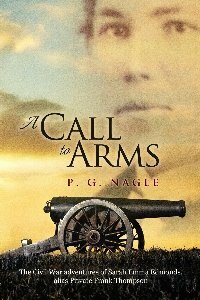 The author wove the western, mystery and romance elements beautifully. 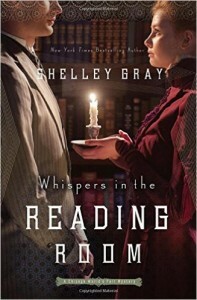 I would highly recommend this book to historical romance lovers or someone who loves a good mystery. I will definitely read the rest of the series. Can two seemingly opposite people unite together to face the danger that seems to lurk everywhere? A chance encounter at the Seneca Falls women’s suffrage movement leaves Blessing Brightman and Gerard Ramsey hoping to never cross paths again. Blessing is the Quaker widow of a difficult man whose death left her with wealth and a high standing in society. Gerard Ramsey is the son of a wealthy Boston family who craves independence and respect from his father. As Gerard’s best friend decides to court Tippy, Blessing’s best friend, he decides to dissuade him and moves to Cincinnati. There he gets to know Blessing for who she is. A simple Quaker woman with a passion to help those nobody deems worth helping. As he decides to enter in a business venture that will seemingly give him the independence he seeks from his father, nothing is as it seems. Someone wants to ensnare him with deceit, while the past Blessing has tried so hard to overcome seems to come back and taunt her. Things start to escalate as racial tensions start to give way to violence. As they fight their way through everything the feel themselves falling for each other but their past and their need for independence get in the way. Will they work their way through their problems and feelings? This was historical masterpiece. It explored two of the major movement of that time, women’s suffrage and the anti-slavery movements. It also brought a sense of intrigue and danger I was not expecting. The book was well researched and was masterfully written. The author wove the historical, intrigue, and romance elements together very beautifully. I loved it and will recommend and read the rest of the series. I often get asked if I tire of reading Amish Fiction. The answer is yes and no. I like that I know the books will be clean and centered around Biblical values. 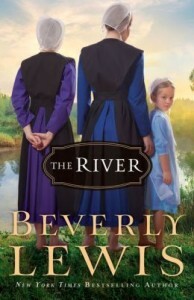 Beverly Lewis is not one that I tire of as she has changed a lot in her Amish genre. Mrs. Lewis was the first author to hook and reel me into Amish fiction and I guess you could say she is still hooking and reeling me in with her stories. Tilly and Ruth are well developed characters that you just adore. Both of the sisters have unresolved hurts that have kept them in a place that they have been stuck dwelling in for far too long. This is a story of redemption, healing, forgiveness, and family. 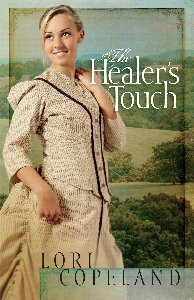 Both girls have to find peace and resolve and be content in their decision that led them away from their Amish roots. I’m not going to give away any spoilers but, this is a worthwhile story that will pull at your heart strings and break your heart at the same time. Thank you for another wonderful story. This story ended with a wonderful conclusion. I look forward Beverly Lewis next book.